This one's from Old Navy. but replaced it with one from Banana Republic Factory Store. I posted about my upgrade here. 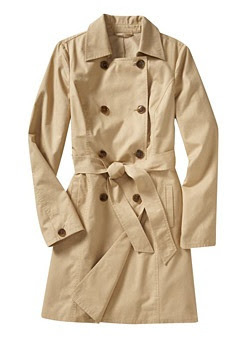 I prefer a single-breasted trench with a belt. 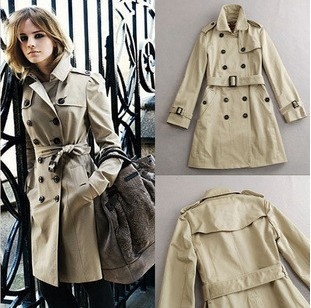 A khaki Burberry trench is on my list of pieces to save for and acquire. Yes, it's around $1000, but I figure if I save for a good while and can afford it, it's a classic that will last a long time (my aunt attests to this....she's had hers for forever).